A 4D BIM model, first use of a new type of track on the Underground and the efforts of over 300 people meant work to increase trains running into Walthamstow by 50% coming in a whole two days ahead of schedule reports David Waboso. 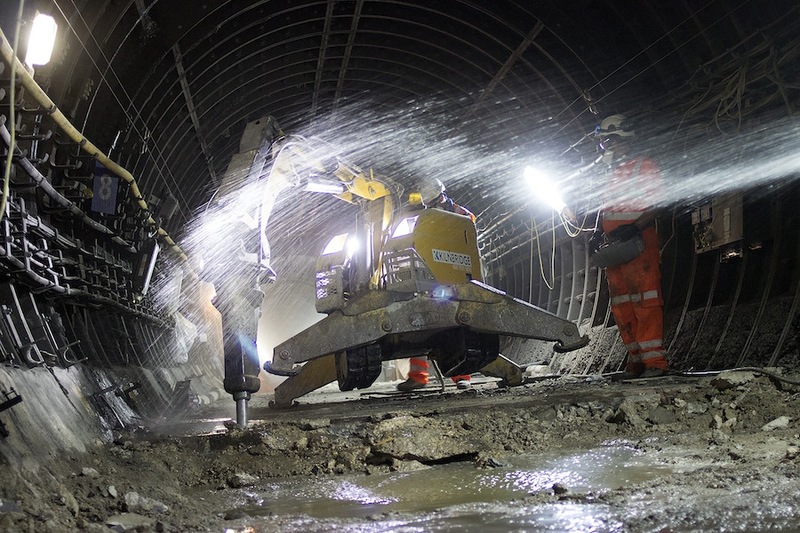 People often ask me what defines the capital programme on LU and the answer is very simple- it’s about delivering the vast amount of complex tube upgrade work with minimal disruption to our ever-increasing numbers of customers -and all at increased levels of reliability. "We’ve "split up" the railway electrically into smaller sections to carry out engineering work so the rest of the line can still run a passenger service"
To achieve this we’ve had to revolutionise our approach to reflect the fact that closing the railway is becoming ever more difficult as our customer numbers break records each year, and increasing reliability is one of our foremost priorities. Through challenging our standards and historical practices we have come a long way in increasing the amount of work we can do without closing the railway down. For example, we can work along a platform with a protective barrier during traffic hours, and do track work on one isolated line when the adjacent line has trains moving past. 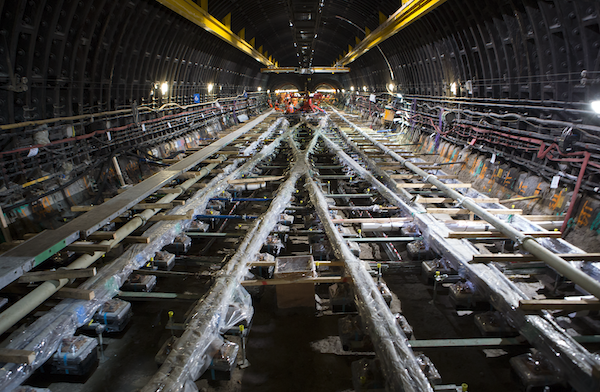 We’ve also "split up" the railway electrically into smaller sections to carry out engineering work so the rest of the line can still run a passenger service, whilst we carry out essential upgrade work. A very smart new timetabling system has been invested in so that we can produce timetables at the drop of a hat that allows us to run services in these different patterns. Our approach to engineering has changed. Systems engineering and reliability now permeate every discussion and every design review of new or upgraded Tube equipment and off-site testing and increased reliability requirements drive our approach to upgrades. A very good recent example is the three week closure we’ve just completed (two days early on 28 August!) on the Victoria Line, delivering new infrastructure to increase the end to end capacity of the line to 36 trains per hour- the highest in the UK and one of the highest anywhere in the world. "But the 24tph capacity between seven sisters and Walthamstow needed to be increased by a whopping 50%." On the Vic line, the service thins out north of Seven Sisters because the track geometry on the approach to Walthamstow dictates a slow approach speed and under the simple laws of physics at terminal stations, this means longer times to turn trains around and therefore lower capacity. Yet Walthamstow is now a reinvigorated and humming part of London, driven by the massive increase in capacity and reliability of the upgraded Victoria Line. But the 24tph capacity between seven sisters and Walthamstow needed to be increased by a whopping 50%. Physically this involved breaking out all the track on the approach to Walthamstow, replacing it with faster and more reliable track, changing all the computerised signalling on the trains, upgrading power and communication systems and squeezing all this into a three week closure starting on 7 Aguust between Seven Sisters and Walthamstow while we ran an intensive service on the rest of the line. The planning of the job was started three years ago when the closure was approved in principle and we adopted a project approach involving not just the engineering but the huge logistics around alternative transport for the thousands of customers who normally use Walthamstow. This involved extensive advance publicity, including local leaflet drops, design and procurement of extensive replacement buses and running additional trains on London Overground's new route out of Chingford all of which was supported by careful travel demand management. We also upgraded the signalling at Seven Sisters so we could provide the highest service possible (27 tph) minimising the effect of the blockade to our customers. "We had a true partnership with our delivery partners who were externally, Balfour Beatty and Siemens (formerly Westinghouse) signalling and internally, our direct labour force of power and signal engineers." The logistics of the car park on top of the station were particularly challenging as we had to segregate all surface passenger traffic from the huge number of construction deliveries, and safety and capacity of the combined operation was our top priority. We had a true partnership with our delivery partners who were externally, Balfour Beatty and Siemens (formerly Westinghouse) signalling and internally, our direct labour force of power and signal engineers. Our project management structure reflected ‘the best person for the job’ principle and at any one shift you would see an LU PM or a contractor’s PM in charge- they were all heroes! We had over 300 people a day on the job and I have to say the welfare facilities were excellent and I think sent out a very strong message about how much we valued the efforts and time people were putting in. For example the on-site canteens had superb food at very reasonable prices and though I don’t treat myself often to this, the cheeseburger and chips were to die for (hopefully not literally!). The team, using BIM, developed a 4-D model that allowed cost/time/resource to be tracked in a very visual way and at the touch of a screen, the progress of the job could be shared remotely on smartphones and tablets. The off-site fabrication and testing of all the components including the new point machines really paid off as the installation on site had to be to millimetre accuracy within the tight deep tube constraints. "A success story for all the team and I would like to think, for the rail industry." We installed remote monitoring on the new points and track circuits (historically a potential source of unreliability) and we now get advance warning of potential failure so technicians can go and resolve it before they impact on our customers. The new track (Sonneville to the un-initiated) was the first of it’s type to be installed by Balfour Beatty on the Underground. This type of track effectively puts the track foundations in a rubber surround within a concrete boot rather than the historical ballast and it therefore lasts much longer, is quieter and also allows the rails to be unclipped and replaced overnight rather than over weekends - another example of how we are moving ahead with new ways of working that increase reliability and reduce the need for closures. The site was effectively turned into a factory during the closure, with overhead gantry cranes installed so the large pieces of plant and materials could be moved around safely and efficiently. The signalling software was produced and tested seamlessly by Siemens and despite the fact most trains were still running in passenger service, it managed to upload and test all the software on the trains overnight. Our teams of engineers and testers also did a fantastic job and the buses and traffic management overseen by an overall TfL command and control structure, was a massive success. Then the news came through that work would finish two days early so we opened the railway to customers. And there it was –our biggest ever blockade, delivered safely, reliably, ahead of time and within budget. A success story for all the team and I would like to think, for the rail industry. 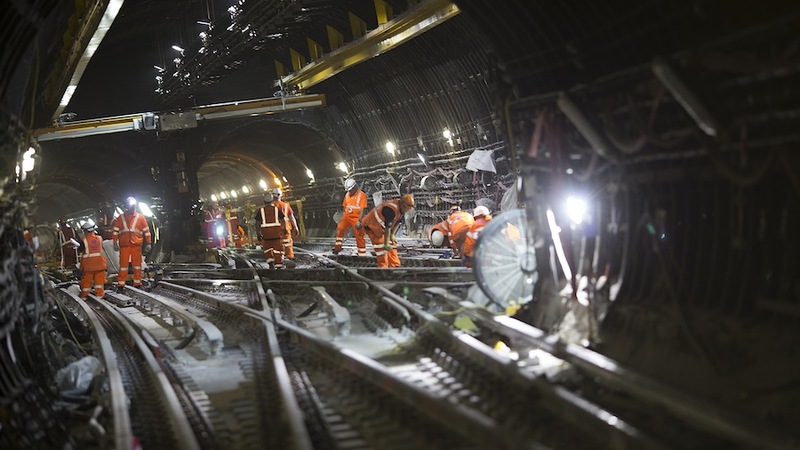 What does Jeremy Corbyn’s Labour Party election victory mean for UK infrastructure? Why should we take interest in community resilience? UK contractors failing to invest in skills, Bouygues boss tells industry.